Comment: Recently moved into the house and would like to have extermination done as a precaution. Comment: Hear something squeaking & running in attic. Saw about 2 weeks ago a small baby raccoon come out from a hole from inside of easement. Feel we have rats or mice? Comment: Old Dominion Freight lines 3225 Dunncanville Rd. Dallas Tx 75236 Contact person Jose xxxxxxxxxxxxxxxxxxx We have a national account . Pest Management of Texas, Inc.
Dallas Pest Control Services are rated 4.73 out of 5 based on 3,133 reviews of 62 pros. 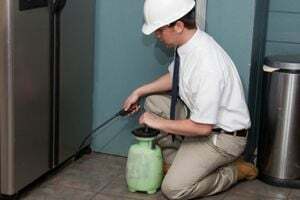 Not Looking for Pest Control Contractors in Dallas, TX?